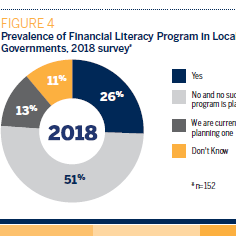 This practitioner-oriented report provides a landscape assessment of local government employee financial literacy programs. 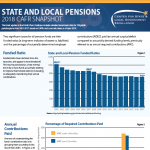 It combines background on workforce issues, a literature review, survey data from local elected officials and human resources directors across the U.S, and insights from discussions with city managers, department heads, and finance officers. 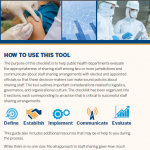 It details seven recommendations for local government employers to strengthen employee literacy programs, ranging from developing culturally relevant, tailored materials to utilizing technology to deliver information. A related webinar was conducted on Wednesday, February 6, 2019. Click here to download the presentation slides. SLGE gratefully acknowledges the support from Wells Fargo Foundation to undertake this research project.